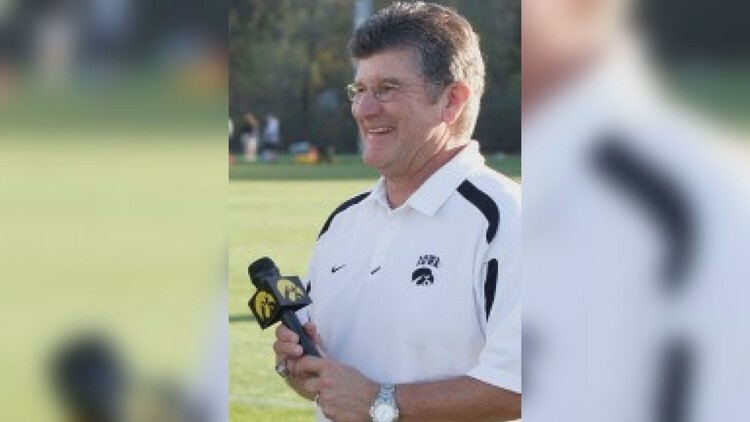 IOWA CITY, Iowa — Iowa basketball radio broadcaster Gary Dolphin has been suspended for the remainder of the season for comments made during a broadcast. Learfield’s Hawkeye Sports Properties announced the indefinite suspension of Dolphin. "During the broadcast, I used a comparison when trying to describe a talented Maryland basketball player. In no way did I intend to offend or disparage the player," Dolphin said in a statement. "I take full responsibility for my inappropriate word choice and offer a sincere apology to him and anyone else who was offended. I wish the Iowa Hawkeye players, coaches and fans all the very best as they head into the final stretch of the season. I will use this as an opportunity to grow as a person and learn more about unconscious bias." Hawkeye Sports Properties announced Jim Albracht and Bobby Hansen will serve as the radio announcers for Iowa’s men’s basketball games for the remainder of the season. Since December 1996, Dolphin has served as the radio play-by-play broadcaster for University of Iowa football and men’s basketball. As of Tuesday morning, a Change.org petition has received 27,090 signatures to reinstate Dolphin. However, it’s not the first time Dolphin has been suspended for questionable commentary. Last season, Learfield Sports Properties suspended Dolphin for two games after comments were inadvertently aired during a game against Pittsburgh. Dolphin was talking to his fellow broadcaster about how well Pittsburgh’s guards were playing in the first half. Dolphin also made several comments ripping Iowa guard Maishe Dailey. The National Sports Media Association named Dolphin the Iowa Sportscaster of the Year in 2000 and 2010. The news of Dolphin's suspension comes a few weeks after multiple media outlets reported ESPN and former tennis announcer Doug Adler settled a wrongful termination lawsuit. ESPN fired Adler in 2017 after some believe Adler made a racist comment about Venus Williams. Adler, a former tennis pro, said Williams put "the guerilla effect on, charging," when she moved toward the net while opponent Stefanie Voegele was serving during their match at the Australian Open. Some viewers thought Adler referred to Williams as a "gorilla," sparking a social media uproar. Adler apologized afterward saying he “simply and inadvertently chose the wrong word to describe her play." In an interview with Outkick the Coverage's Clay Travis, Adler said he had used the term “guerrilla effect” or “guerrilla tactics” to describe unexpected moves by tennis players for years. Adler said he first heard the term at USC. However, the criticism against Adler may have been misguided. "Guerilla tennis" was the theme Nike used for an Andre Agassi-Pete Sampras commercial campaign in 1995.